DuPont Textile Fibers Pioneering Research Laboratory. 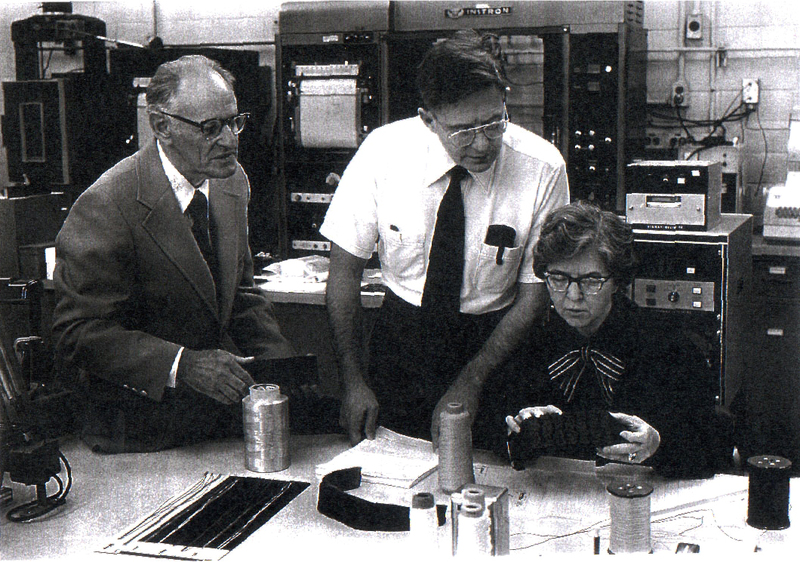 Left to right: Dr. Paul Morgan, Dr. Herbert Blades, and Stephanie Kwolek. Courtesy of DuPont. 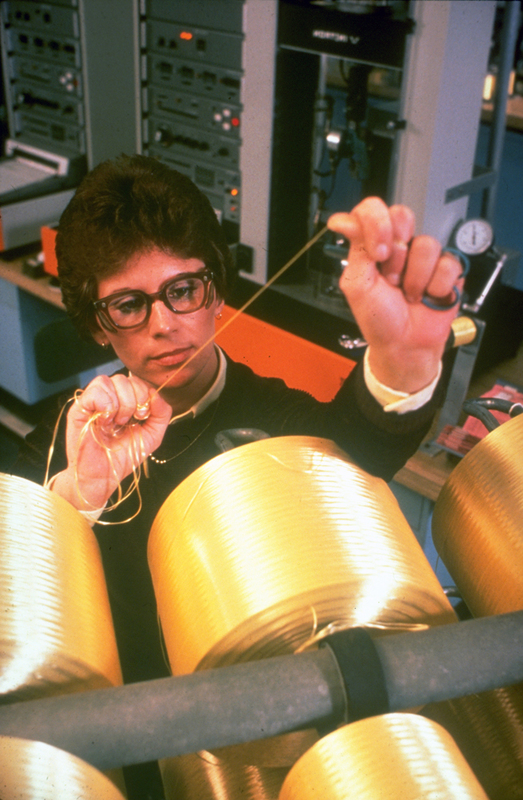 One of the few women chemists at DuPont in the 1960s, Stephanie Kwolek’s work led to the development of Kevlar, a fiber best known for its use in bullet-resistant vests. Kevlar manufacturing site in Richmond, Virginia, 1970s. Courtesy of DuPont. Kwolek’s research at the DuPont Textile Lab included experimenting with long molecules called polymers in order to develop lightweight, heat-resistant fibers. One day in 1965, while trying to dissolve one of the polymers, something strange happened. Convinced that this unusual solution could be spun into fibers, Kwolek spent several days urging her colleagues to spin it and test its physical properties. They were all amazed when the test results revealed how strong, stiff, and yet lightweight the fiber was. From the time Kwolek first stirred that solution in a test tube, it took six years to produce Kevlar commercially. “It turned out to be a great team effort in the end,” she said. Continue To How Strong is Kevlar®? What's it like to be a woman inventor and scientist?